Generally speaking, this condition can be experienced by anyone. 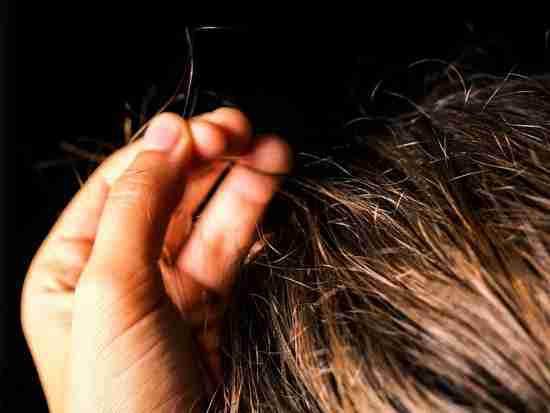 Children as young as four have developed hair pulling, as well as adults in their sixties. The most common starting point for trich seems to be ages nine to sixteen. Ariel from TrichStop dropped me a line not long ago asking if she could submit a guest post. I said fine, she did, I read it and hit the site – and here we are. TrichStop is a unique online resource for those struggling with compulsive hair pulling – trichotillomania – as well as family and friends. Immediately available are tons of info, a blog and forum, and an online treatment program featuring experienced and passionate professionals who deeply understand body-focused repetitive behaviors (BFRB) treatment. All very impressive, actually. I’ll slip you a link at the end. Have you ever had a day when you got so frustrated you wanted to pull your hair out? In essence, that is what people who suffer from trichotillomania (trich) experience on a daily basis. One real difference between your frustration and theirs is they literally pull their hair out. Hair from their eyebrows, eye lashes, or scalp – anywhere they have hair. They feel frustrated, stressed, anxious maybe most of the time and respond to this by hair pulling. Somehow, the pulling of their hair relieves their anxiety temporarily. But the stress and anxiety often come back and so does the hair pulling. Trich can result in so much hair being pulled from the head that it leaves bald spots. Because of this clear evidence of something being wrong, people who suffer from this condition often also suffer from low self-esteem and have a difficult time with relationships. They may also face ridicule from others who don’t understand why they have this compulsion. Trich seems to run in families. That is, if you have trich, there is a good chance someone else in your family also has or had the condition. In addition to hair pulling that may result from anxiety and stress, there are other symptoms that people with trich may experience. One of these is very significant tension just before the hair pulling behavior. This same kind of tension can be felt if the person tries to stop the hair pulling. There may be specific kinds of rituals related to the hair pulling. Also, specific kinds of hair may be preferred. Once the hair is pulled, the person may play with it, rub it across their lips or face, or even consume it. If the hair is eaten, the person may literally develop hair balls, just like cats do. There may be associated compulsive behaviors, as well. These may include picking at the skin, chewing on fingernails, or chewing the lips. Some people with trich also will pull hair from dolls or pets, or pull at blankets or clothes. Some people will engage in the automatic type of this condition. That is, they may not even be aware they’re pulling their hair when doing other things, such as watching TV. Other people with trich have the focused type. This is a deliberate behavior designed to relieve tension. They may develop rituals around the actual hair pulling, possibly going as far as selecting specific hairs to pull. Some people engage in both types of hair pulling behavior. People with trich may also engage in the behavior because of negative or positive feelings. In the former case, they pull hair to relieve feelings of stress, tension, or anxiety. In the latter, the relief of tension following hair pulling is so positive they pull more hair to prolong the good feelings. Earlier, anxiety and stress were said to be causes of trich. It was also said that the condition may be related to genetics. While that is true, they aren’t necessarily the only causes. Experts have not yet found an exact cause, but have found several possible reasons for the condition to begin. Some professionals think trich may be the result of an imbalance in brain chemicals and pathways in the brain that control impulses, influence habit formation, and regulate emotions. Even abnormal brain structures may be involved. Some believe the condition may be a habit that developed from what started out as a benign event, such as an itchy eye lash. Others believe the behavior may have grown out of another childhood habit, like thumb sucking. While both males and females can have the condition, females have been diagnosed with it more often. This may be misleading, however, because males tend not to seek treatment, which may distort the numbers. Whatever the age when the condition is first seen, it is considered a chronic condition. Those suffering from it can’t stop the hair pulling through willpower, so there’s an obvious need for professional intervention. A combination of medication to help alleviate any underlying anxiety and psychotherapy appears to be the best approach to dealing with trich. Cognitive behavioral therapy (CBT) may be the best psychotherapy to use. Habit reversal training (HRT) seems to work especially well. In this approach, the hair pulling is said to be a learned response to certain triggers. The person may not even be aware of them. So the first order of business is to pay attention to and discover the triggers in their lives. Then they learn to substitute behaviors that are incompatible with hair pulling when the triggers present. Another variation of CBT, mindfulness-based cognitive therapy (MBCT), has also shown to be effective in dealing with trich. In this approach, people learn how to accept the situations and feelings that trigger hair pulling without being judgmental about them. This allows the person to learn to tolerate the discomfort associated with the triggers instead of giving in to the desire to pull hair. So there you have it, people. My thanks to Ariel for getting in touch and providing some great info on trichotillomania – a disorder that doesn’t get a lot of press. And that’s a shame, given millions worldwide are struggling with it. If you’re one of those millions, a family member or friend, or someone who wants to learn more about trichotillomania, head-over to TrichStop. The images came from The TLC Foundation for Body-Focused Repetitive Behaviors. This is another great resource, so be sure to visit them, as well. Hey, hundreds of Chipur mood and anxiety disorder titles await your review. Don’t be shy. Previous Post: My Life Is HELL and You Want GRATITUDE? Really?